IN JUNE, a new app from the Central Provident Fund (CPF) called the CPF Starter was uploaded onto the iTunes app store. I can't remember how I noticed it, but I downloaded it. What intrigued me was how the app tried to crowdsource financial data among Singaporeans. For example, you can enter your age range, salary, and how much you save a month. The app then tells you what proportion of your cohort saves more or less than you. You can thus benchmark yourself against other people your age who have also downloaded the app and put in their numbers. I fiddled around a little to figure out what my peers were saving. In mid-August, the typical person aged under 35 who had downloaded the app and entered his data was saving S$800 a month. Half save more and half save less than that amount. The bottom quarter saves S$250 and below, while the top quarter notches S$1,500 and above. These numbers are rather encouraging. Assuming the typical Singaporean wage of S$4,000 a month, this translates to a median savings rate of 20 per cent. This savings rate is already far superior to that of Americans, who are saving only 6 per cent of their income, according to recent data. If you can save 20 per cent of your income a month, and CPF helps you save another 37 per cent, you will effectively save more than half of your income every month. This will go a long way towards paying for the rather expensive housing we live in compared to the rest of the world, as well as ensuring one can retire comfortably. I asked CPF about the app, and they told me it had seen, by Aug 6, more than 15,000 downloads across both iOS and Android devices. About half are users aged 35 and below. "The data collected is updated every time a new user enters his or her savings information or when an existing user updates his or her savings information," a CPF Board spokeswoman said. How much are the young saving? The figure seems reasonable. Yet it is also possible that it is biased upwards if those who have downloaded the app tend to be more financially savvy than the general population. I did an anonymous online survey of 10 friends and colleagues. 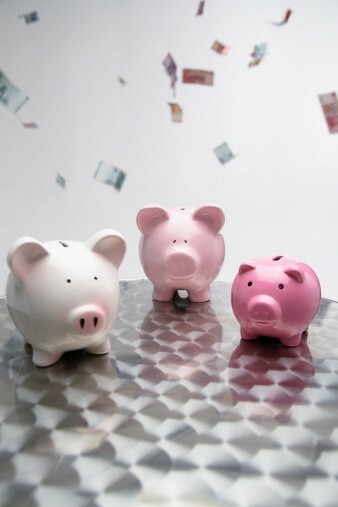 The most common sum saved was S$1,000 a month. Quite a number managed more. Saving S$1,000 a month will compound into S$100,000 within seven years, assuming the entire sum is invested at 5 per cent a year. The CPF app is useful in other ways. It asks you for your salary, and then tells you how much your employer will be contributing, and projects how much you will have in your CPF accounts in the future. One can easily see the power of compound interest. The app also gives basic tips on personal finance issues like savings, housing, healthcare and retirement. For example, there is an explanation of CPF Life, the compulsory annuity scheme we are all signed up for upon turning 55. It also has a question-and-answer page called "Ask Us" where matters like CPF contribution rates, top-ups and even CPF-related issues on starting a business are covered. Hopefully, this section will be expanded in the months ahead, or an option given to app users to ask questions that will later be answered. Under the "My Messages" tab, one can also find out about upcoming events. For example, there is a talk in English on turning 55, taking place on Tuesday evening. The app is a praiseworthy initiative by the CPF Board, because our pension system has been badly misunderstood over the years. The 3.5-5 per cent or so interest rate that CPF pays out, risk-free, is actually very good. Just ask any oil-and-gas stock investor who has seen the value of his holdings halve in the past month. More can always be done to communicate the scheme effectively. For example, people should be clear on how withdrawing money from the CPF works. Another key issue is to know how much one can spend on housing and still be able to retire on a comfortable annuity. I am constantly reminded of how important it is to have a grounding in the principles of saving and retirement planning. Upon being told that those under 35 save S$800 a month, a friend bemoaned that it was a very difficult target to achieve. Another is barely managing any savings, and has lived from paycheck to paycheck for many years. Figuring out what one's financial goals are and planning ahead early can make one's life less stressful. One can be motivated to save more perhaps after knowing how much everybody else is saving. Entering some numbers into the CPF app is not a bad start.